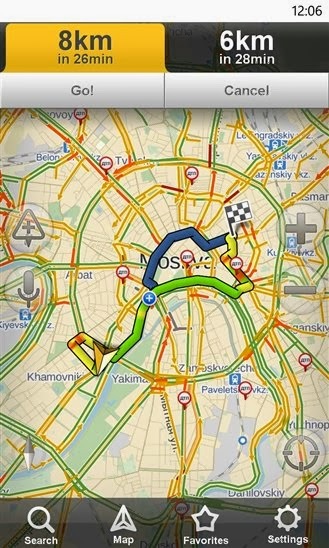 Windows Phone gets Yandex.Navigator app. The Yandex.Navigator app offers turn-by-turn directions for Russia, Ukraine, Belarus and Turkey and can plan journeys taking current traffic conditions, closures etc. into account. With the Yandex.Navigator app for Windows Phone you can find your way around town or the entire country using only the fastest routes and clearest roads.